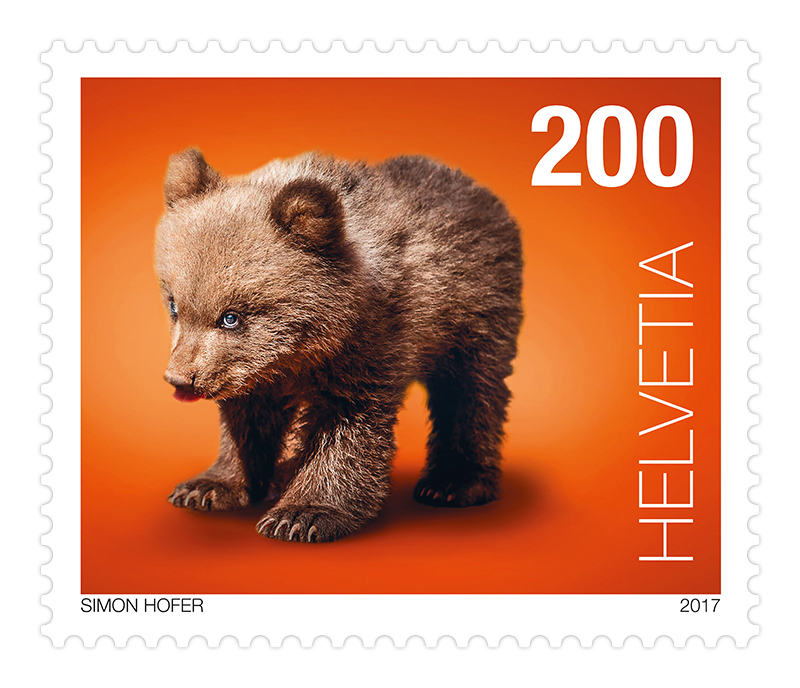 Bernese designer Simon Hofer consciously factored the sympathy effect into his portrayals of the baby animals. The animal is in the foreground, and the unicoloured backgrounds heighten the eye-catching effect. Simon Hofer, born on 9 July 1975, is a creative thinker and designer with a distinctive feel for new and creative ideas and concepts. He was Art Director at some of Berne’s large agencies and since 2008 Creative Director of his own company, SIMONHOFER Creative GMBH in Berne. 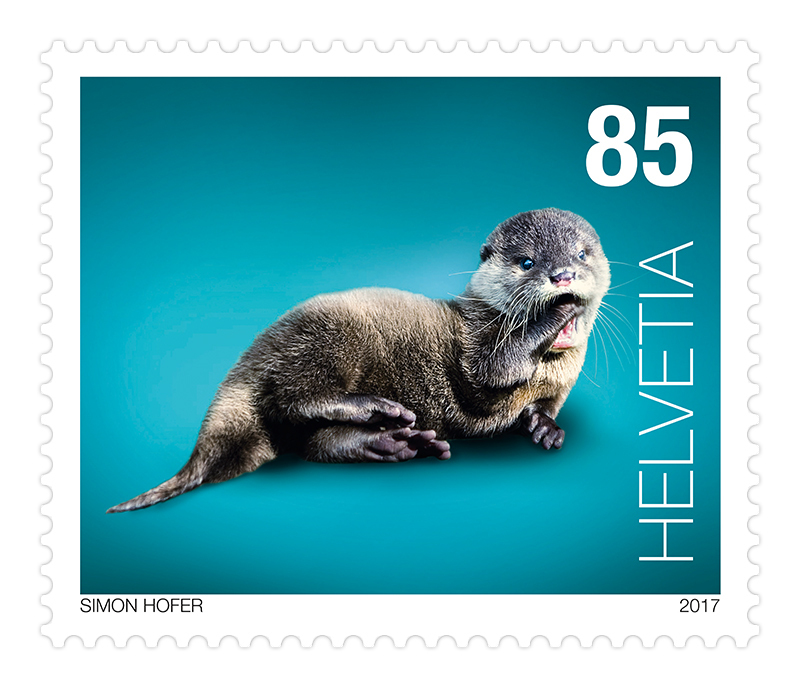 Otters used to be found living on the banks of practically every stretch of water in Switzerland. They became extinct in the middle of the last century as a result of over-hunting. To ensure a natural return from areas close to the border or a successful repopulation, water habitats – especially in the Central Plateau – need to be renaturized. 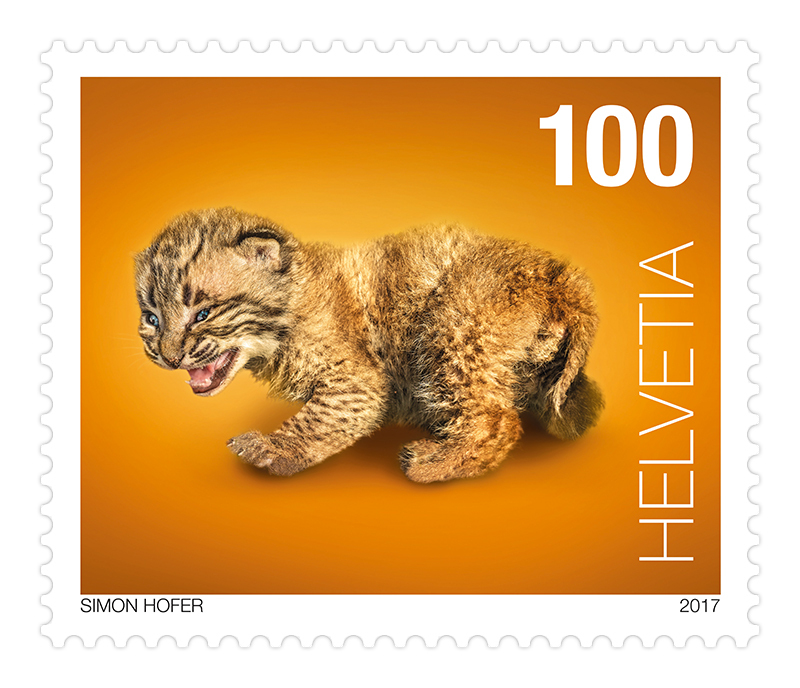 The lynx was reintroduced to Switzerland in 1971. The animals are also able to survive in heavily cultivated terrain because they are extremely discreet. A stable population has established itself mainly in the Northwest Alps and the Jura. 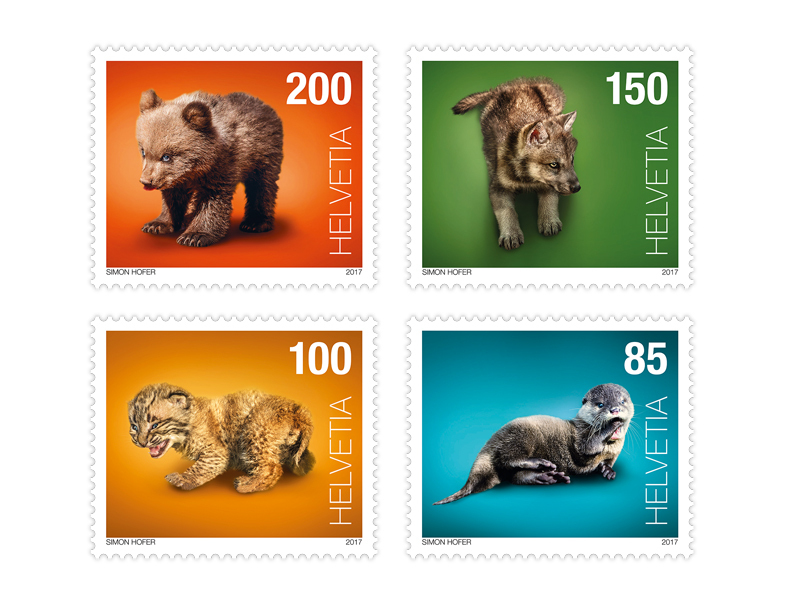 Switzerland has a particular responsibility to preserve this species in the Alpine region. As their natural prey was being hunted by man, wolves had no choice but to feed on farm animals. 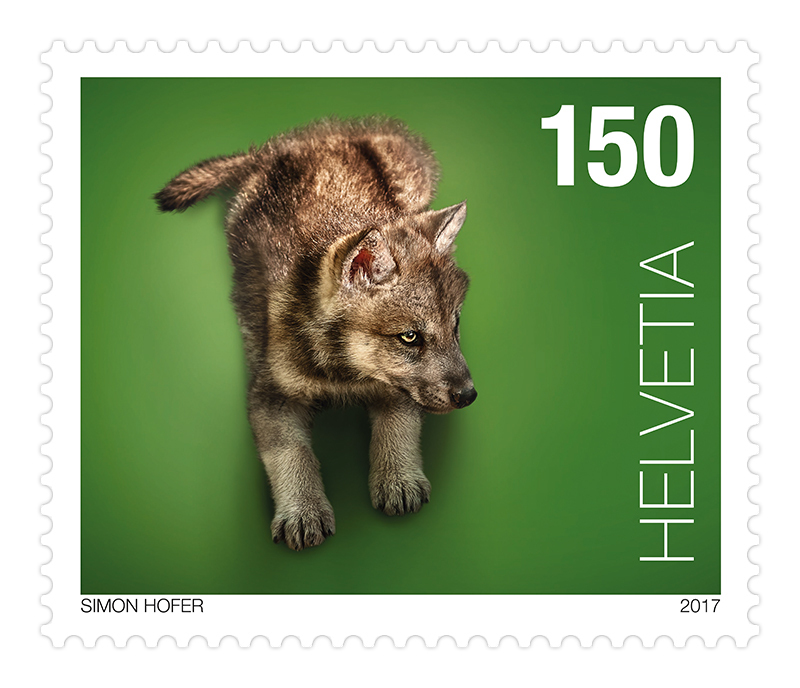 This led to the wolves themselves being hunted down and eventually disappearing from Switzerland towards the end of the 19th century. Since 1995 wolves have been regularly migrating back into the country from Italy and France, and since 2012 there have been cub births every year in the Calanda mountain range in Graubünden. Close on one hundred years after becoming extinct, almost every summer since 2005 a brown bear has roamed through Switzerland’s Alpine valleys. The animals come from the Austrian-Italian-Slovenian border region. Bears essentially live inconspicuously and their presence is frequently not even noticed. Hunting and loss of habitat almost resulted in the complete disappearance of these once widespread animals.